Product #60764 | SKU BOLT4K1500 | 0.0 (no ratings yet) Thanks for your rating! A deposit of $1,500.00 is required for this pre-order. 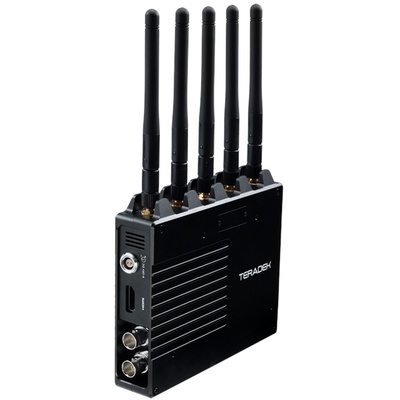 Teradek Bolt 4K 1500 TX/4RX Set defines a revolutionary new category of wireless video technology, delivering uncompressed 2160p60 HDR video transmission with zero delay. Pair transmitters and receiver right from your iPhone or iPad. Bolt 4K receivers include a built-in 5GHz spectrum analyzer, allowing you to detect congestion in the area and determine which f frequency is best for your devices.